Dispenser Pumps For Soap, Lotion, etc. DISPENSER PUMPS For Lotion, Soap, Condiments and more. Dispenser tubes are easily cut to fit your containers’ depth. Available styles include screw-on and glue-on plus vinyl and natural cork inserts. These Dispenser Pumps provide the finishing touch to handcrafted lotion, soap and condiment containers. Vinyl plastic dispenser tubes are easily cut to fit your container’s depth. 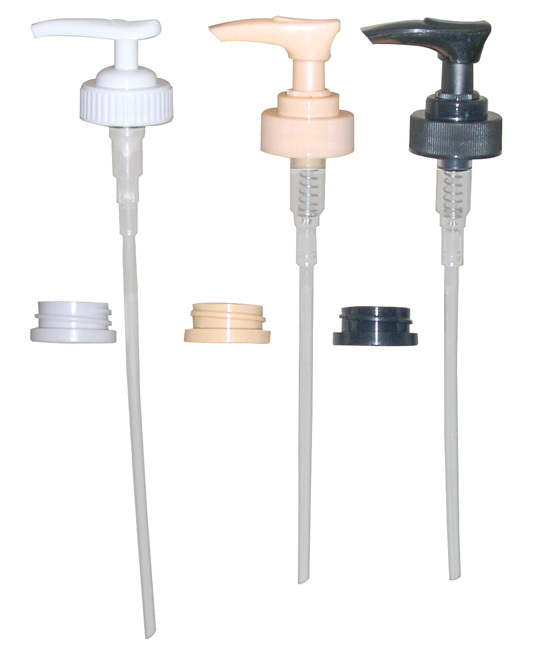 WHITE Dispenser Pumps (A & B) have a 6"L dispenser tube and fit containers up to 8" deep. 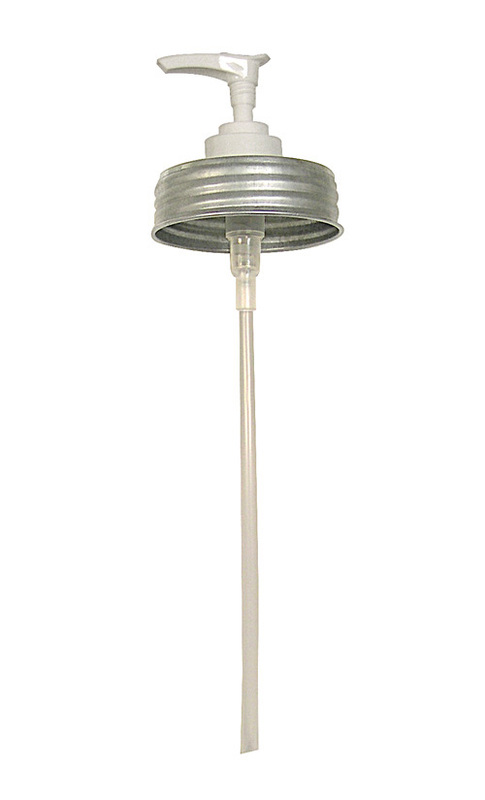 Threaded Mounting Collar for Pump (A & B) fits 1" O. D. container necks. 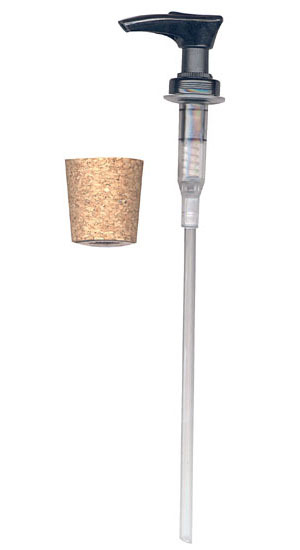 Dispenser Pump (C) has a 4-3/4"L dispenser tube and fits containers up to 6-3/4" deep. All Dispenser Pumps have locking mechanism which twists easily on and off. 1-1/4" top dia. & 1"